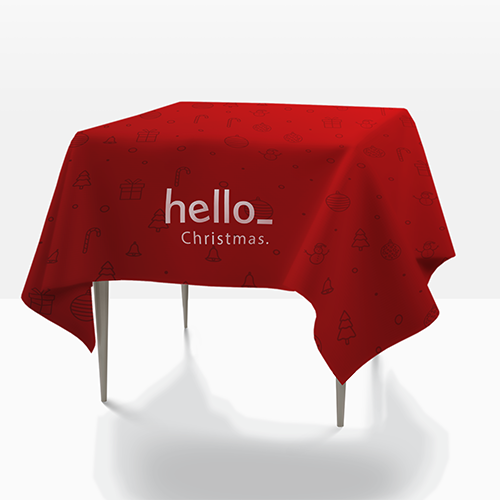 Order professional presentation fit for any occasion with Helloprint's Tablecloths! 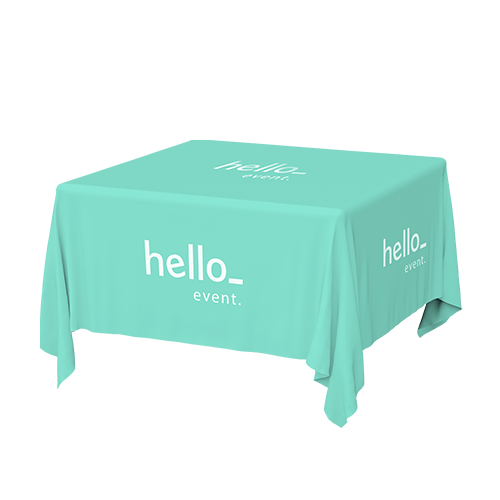 Print your logo and corporate designs onto tablecloths that are ideal for advertising and creating that special atmosphere in your restaurant, at trade shows, or other events. 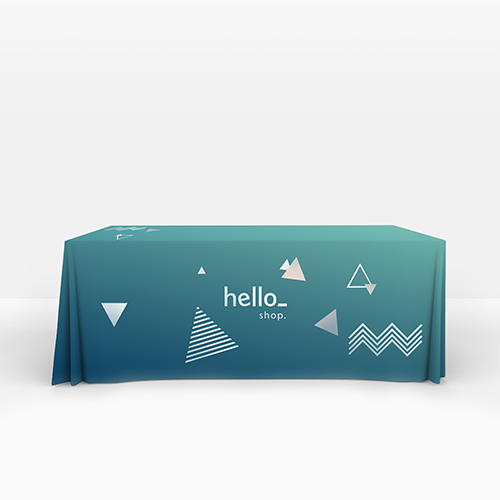 Benches, exhibition stands, conference tables and more; printed tablecloths complete any environment and can be tailored to your brand's needs. Fine woven cotton with a weight of 140gsm. Also known as "Cotton percal". Made from carefully selected cotton. This is the most common fabric for table cloths. You can't miss on this one. The printing is done with water-based ink. Polyester fabric with a weight of 190gsm. Also known as "Flexible polyester ", made of light weight polyester. 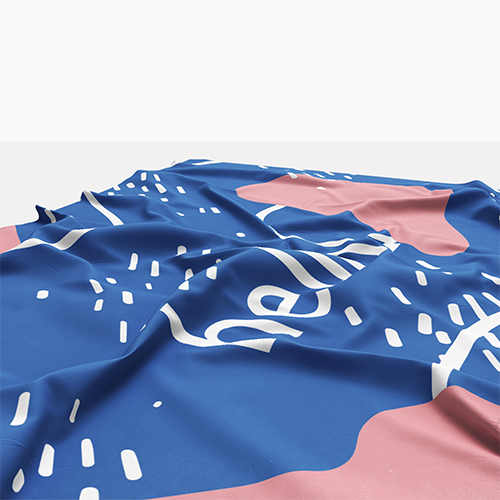 The fabric is extra durable, the printing colours will last longer. The printing is done with water-based ink. Table cloths are a unique way to decorate your interior, shop or exhibition stand. Print your coolest design and stand out. For the delivery of your tablecloth we use multiple carriers. Because of the highest reliability, in most cases we use UPS or DPD. 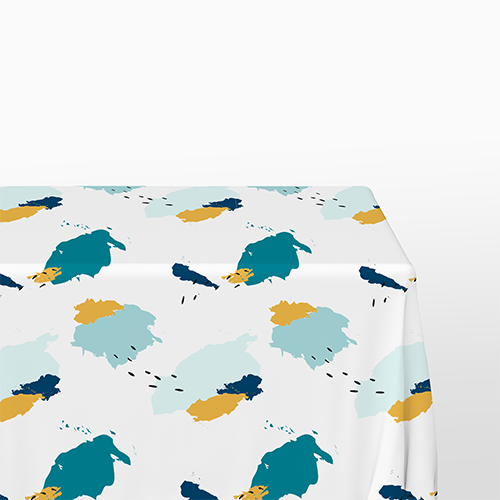 The tablecloth that is chosen in most cases can be selected via our website. Can Tablecloth with a print be washed? Of course it is possible to wash the Tablecloth. Take a careful look at the washing instructions on the care label, however.